Are citation networks really acyclic? Simple answer: no. However, before getting into a more detailed answer, allow me to briefly introduce the concept of citation networks, then I will describe why citation networks cannot be considered acyclic anymore. Directed. A citation goes from one paper to another. Acyclic. Papers can only refer to earlier papers. Since a new paper can point at existing papers, it prevents the creation of loops within the network (see Fig. 1). 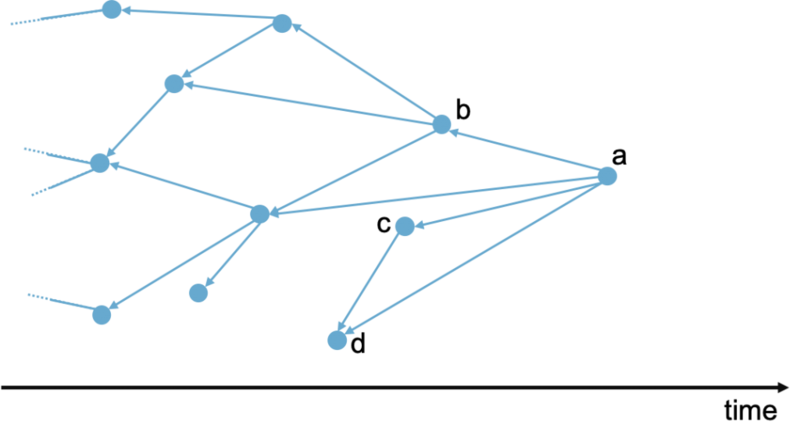 Thanks to these two properties, citation networks can be considered as direct acyclic graphs (DAG). Some other examples of DAG networks are family trees (genealogy), software dependency graph, scheduling tasks and others. Fig. 1. 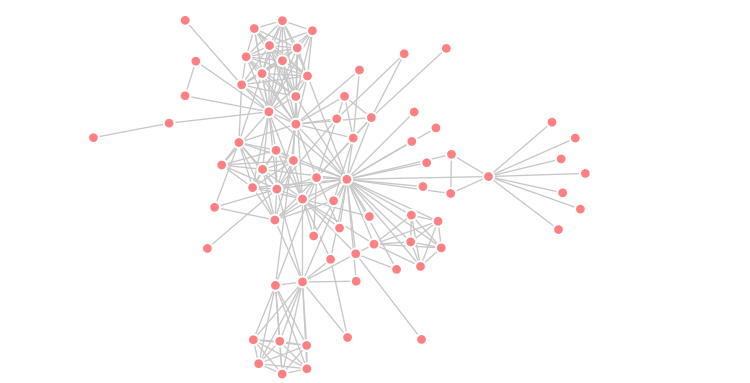 Sample of citation network. Paper ‘a’ cites ‘b’,’c’, and ‘d’, but on their turn they cannot cite ‘a’ because they have been published before. However, there is some evidence showing that citation networks are in practice not acyclic. For instance, papers published on the same issue can cite each other (below there is a simple proof) . In some other cases, a research paper (e.g., archived on arXiv.org) can be edited, allowing authors to update its references pointing to a recent paper . In conclusion, ideally citation networks are acyclic, practically no. Some approaches, including  already consider this problem and approximate the network by removing acausal citations. However, how the results of such analysis would change if we start considering the network as it stands? Salatino, Angelo A., Thiviyan Thanapalasingam, Andrea Mannocci, Francesco Osborne, and Enrico Motta. “The computer science ontology: a large-scale taxonomy of research areas.” In International Semantic Web Conference, pp. 187-205. Springer, Cham, 2018. Thanapalasingam, Thiviyan, Francesco Osborne, Aliaksandr Birukou, and Enrico Motta. “Ontology-based recommendation of editorial products.” In International Semantic Web Conference, pp. 341-358. Springer, Cham, 2018.